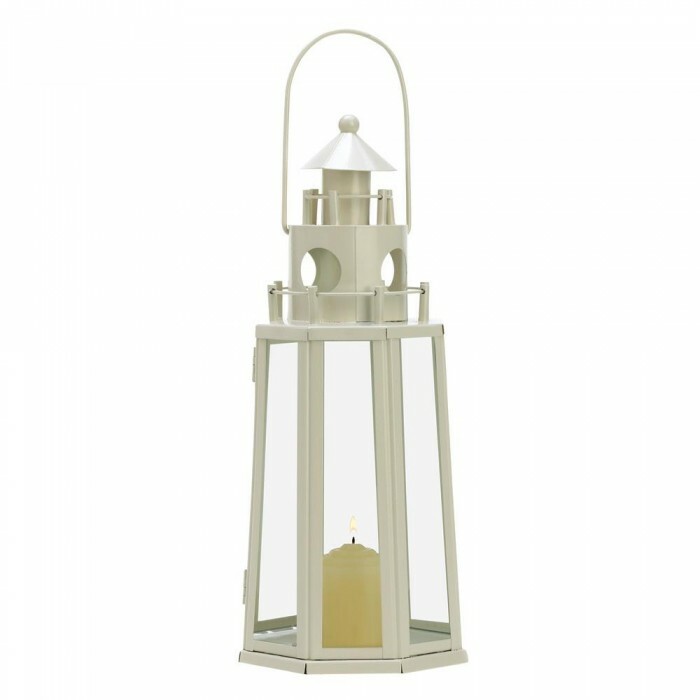 With its contemporary construction and creamy ivory finish, this little lighthouse freshens up your nautical dï¿½cor theme. 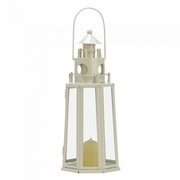 Just tuck a candle inside the base and bask in its beckoning glow. 4-3/4" diameter x 11-3/4" high; 13" high with hanging loop at top. Iron and glass. Candle not included.